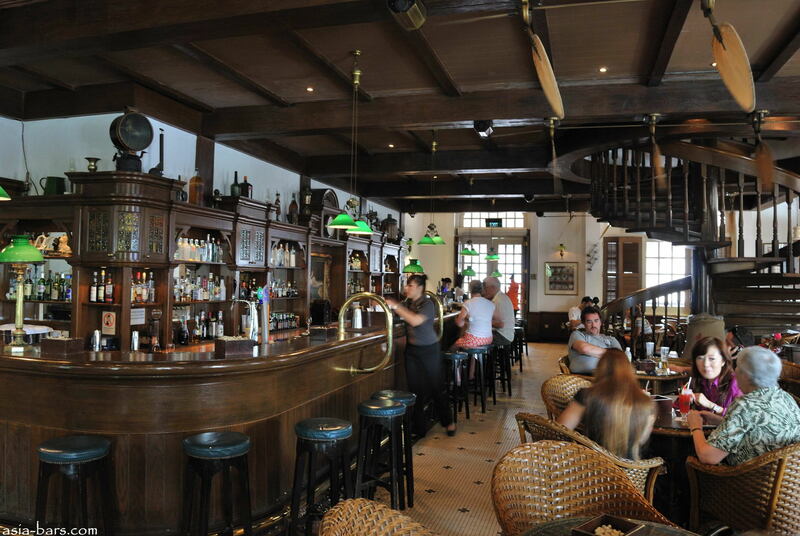 The Long Bar at Raffles is the home of the famous Singapore Sling. The Singapore Sling was created at the Hotel at the turn of the century by Hainanese-Chinese bartender, Mr. Ngiam Tong Boon.The Sling is a mixture of Gin, Cherry Heering, Dom Benedictine, Cointreau, Pinapple Juice, Lime Juice, Grenadine and Angostura Bitters. The hotel’s museum has the safe in which Mr. Ngiam locked away his precious recipe books, as well as the Sling recipe hastily jotted down on a bar chit in 1936 by a visitor to the Hotel who asked a waiter for it. Originally the Singapore Sling was meant as a woman’s drink, hence the attractive pink colour. Today, it is very definitely a drink enjoyed by all. The earthy decor of this two-storey bar was inspired by the Malayan plantations of the 1920s. In addition to almost every alcoholic and non-alcoholic concoctions imaginable, the bar also serves traditional pub food. Every table has a box of peanuts and the floor is littered wilth peanut shell pieces where they have fallen when cracking open the peanuts. 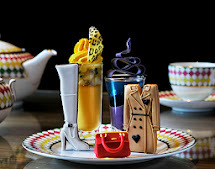 The atmospere is great with a live band performing a selection of contemporary and popular hits in the evenings. I highly recommend visiting the Long bar its a great experience and the Singapore sling is a MUST ! The long bar opens from 11.00am to after midnight, Sunday to Thursday and on Friday and Saturday, to 1.30am. The Singapore Sling is $25 USD but it’s worth it!